Thanksgiving guests have long since departed. We’ve just about liberated all leftovers from our refrigerator. It’s now time to turn my attention to our vegetable garden. 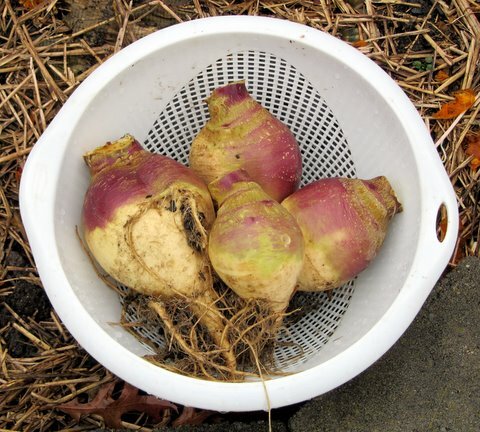 I do have a short row or two of Cylindra beets to pull for another early-winter treat. I’ll simply boil them and anoint them with a pat or two of butter. Late-season Red Sails lettuce continues to grow in my “Cheap Greenhouse”—the experiment I’ll report on when this warm fall turns into frigid winter. Drum roll … How long will the lettuce plants grow before they surrender to the cold? Yes, a few vegetables that I planted still are growing. But other plants that I don’t want are growing larger every day, seemingly doubling in size when the temperatures zip into the 50s and 60s. Those plants are winter weeds. 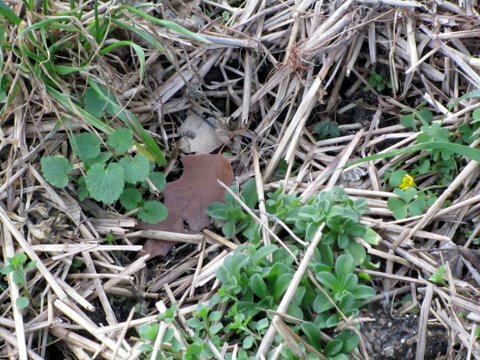 Every garden likely has some winter weeds that sprout in late fall and grow rapidly during warm fall and winter days. I used to ignore them and turn them under on sunny February days, but some, especially chickweed, would be so thick and tangled that it was easier to roll them up like green rugs and toss them over the back fence. But I’ve found a better way to control winter weeds. From Thanksgiving until garden soil freezes solid and when I have 15 minutes or a half hour on a sunny day, I take my weeding hoe and make mayhem on winter weeds. I decapitate them just below soil level, roll most of the soil off any roots with backstrokes of my hoe, and hope the sun dries the roots and kills the weeds. I don’t stoop and pull weeds, generally, because that gives me an Aching Back. My goal isn’t a garden without a visible weed. I hoe the biggest weeds first, especially those that are blooming—and if I miss some, I attack them the next time I hoe. So my small, hillside veggie plots are not weed free, though some are nearly so. And each week that passes more will be browner and less green. 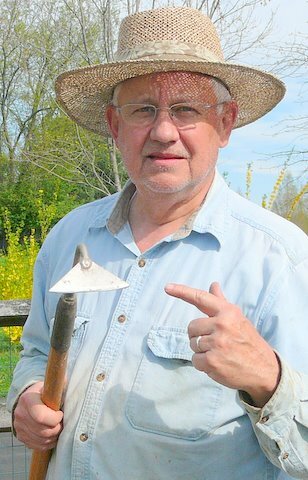 When the sun begins to warm in February and the topsoil thaws a bit, I’ll be out there, a few minutes now and then, with my hoe. This short, periodic hoeing helps me keep weeds under control. I no longer have to stoop and roll green mats in early spring or struggle to turn the mats under with a shovel. My Aching Back aches less, and if a few weeds still grow in March, I’ll turn them under with my shovel. Now that you’re rested up from your Thanksgiving extravaganza, move your weeding hoe from your shed to your garage. On the next sunny day put on a light jacket or an extra shirt and grab your hoe and do a little winter weeding. Take a few deep breaths of the cool, crisp air, and hoe, hoe, hoe. And while you’re working, think through your plans for Veggie Garden 2012—what you might plant and where. Perhaps you’ll even smile and plan the perfect answer when someone asks you what you’d really like for a holiday gift: “Well, I’d really like a high-quality, narrow-bladed weeding hoe.” That would be so much better than another necktie or box of chocolates, now wouldn’t it? Extra: To read Patterson Clark’s “Urban Jungle” feature, “Wrestling with winter’s weeds,” in the Washington Post (Nov. 22), CLICK HERE. ← Thankful for salad tables!